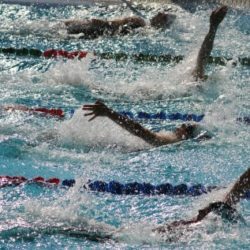 Most coaches will encourage young swimmers to train for and compete in the 200m Individual Medley, also known as the 200m IM. This event can provide coaches, swimmers and their parents with a good gauge of improvement across all four swimming strokes over time. Many children who are very proficient at one stroke often become better at another stroke as they get older. This is facilitated by training all four strokes from a young age and continuing to develop skills and technique in the four strokes as they get older. So here are some tips for young swimmers. Focus on swimming and improving all four strokes from a young age. This should be done at least to the age of 16 years, if not longer. Race in all four strokes over 100m on a regular basis. This will provide you with the conditioning for a 200m IM. Race in 200 & 400m freestyle events as these will also help with conditioning and the last 50m of the 200m IM. From the age of 10 years, race in a 200m IM at least every 2 months at some level. Practice switching from one stroke into another, in IM order. For example when doing 100’s, swim 50 butterfly into 50 backstroke, 50 backstroke into 50 breaststroke and 50 breaststroke into 50 freestyle. 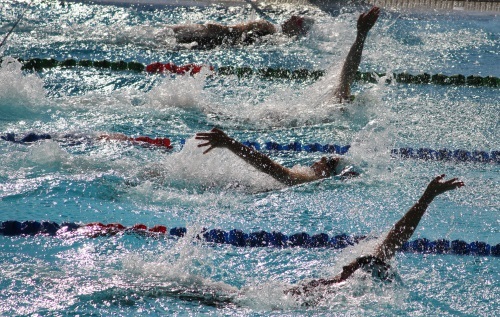 The transition from one stroke into the next should become so good that it feels right to switch in IM order when swimming. Use your arms a touch more than your legs in backstroke and your legs a touch more than arms in breaststroke, when first learning to do IMs. In a 200m IM race, the butterfly should be swum just about flat out, build the backstroke and breaststroke so that the second 25 is faster than the first 25 in both strokes and then swim as fast as you can in the 50m freestyle, so train with this in mind, every day. Please include any other questions on the 200m Individual medley below.